We understand that every hunt should be a unique experience. We know that every trip start with a wish and passion. Hunting is an ideal instilled from our parents, family members, or our best friends. We look forward to working out a hunting trip catered to your desires and expectations. We plan on exceeding your every expectation! With this goal in mind, we have recruited the best guides and staff who are passionate about filling your every wish. We have thoroughly researched and scouted the right fields for your particular trip. We intend your stay with us in the field or at the lodge to be comfortable, without losing the components of a true hunting trip. We listen to people. We laugh with our guest. We make jokes. We tell stories. We talk about our families and dreams. We help each other. We work every day with passion and joy. We make sure to go beyond every limit to ensure your hunting experience is unique and unforgettable. All this said, you truly won’t understand until you experience it firsthand. We are ready. You should be the next one. Why are we considered the perfect wingshooting option? Easy question baby. We listen to our guest and we customize the hunts depending on their expectations. We have clientele of varying ages and degrees of skill; we can provide anyone with a custom made trip suited to their particular desires. Schedules are organized every day which leaves room for split second changes in accordance to your wishes. Our variety of options is continually growing as we receive request for certain amenities or a desire to experience non-hunting activities. Although we operate a majority of lodges/estancias ourselves, we also have experienced associated partners who have intimate knowledge of select areas that we hunt. The benefit of working together is a shared client base and a mutual respect for each other. We got them covered, they got us covered, and mutually we have you covered! A very good friend of Pablo’s said recently, “What we love about your operation Pablo is the variety of options, the compassion and attentiveness of your staff, and the willingness to bend over backwards for your guests”. We care about your experience. 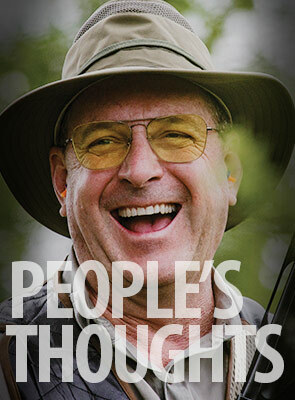 Visit our testimonial section, in our website, to read what people have to say about Pointer Wing-shooting. How do we have loyal return customers? 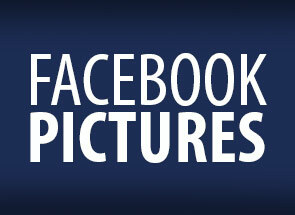 We care about people wishes and the daily hunting experience. We understand that proper hunting requires a willingness to follow the birds wherever they might go. We understand that a hunting trip to South America is a long journey and we intend to make it feel as cozy as your own home. What makes our company different from others? We are a flexible company always ready to listen to our guest wishes. We don’t want you to choose us just because we say we are the best. 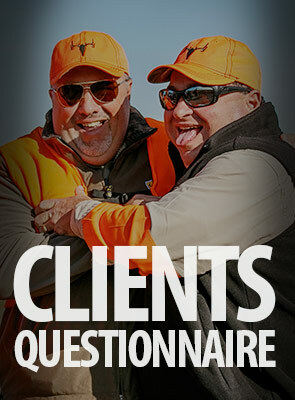 We want you to choose us because of the love we have for hunting, for our clients, and for our beautiful country. It is all about being with the right people. The right people will make your experience unique and unforgettable. You can find a number one golf player or a number one tennis player, but you will never find a number one hunting company. It is not possible to rank an experience, and that makes us different. Most of the outfitters have hunting experience, everybody has birds, most companies have nice lodges, but not everybody has the same attitude. Our royal treatment makes us different. We know this every time we take a group to the airport and people says: “It was the best trip ever, thanks my friend. We will be back”. What do I need to know about a hunting trip to South America? It is extremely important that you get good advice before coming to South America. 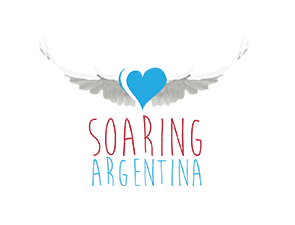 There are many options for wing-shooting in Argentina and Uruguay. After talking to an expert, you will know exactly what you want to hunt, where you want to hunt it, and when you should hunt it. We will ALWAYS be available to send and receive calls/emails concerning any questions anyone might have. There are different species, different combos, luxury lodges, standard camps, and many more details; so please do not hesitate to contact us for free advice. 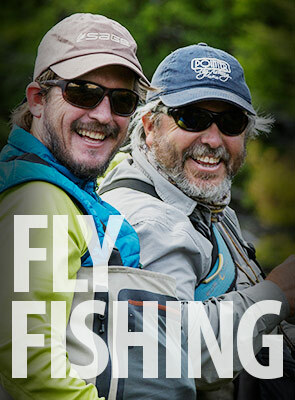 Are we able to add fly fishing to our trip? When people travel all the way here, it is always good to check to see if they are interested in adding a couple days of fly fishing to their trip. Argentina is well known for being one of the best destinations to fly fish for the famous sea run brown trout, rainbow trout, steelhead, and brook trout. We also provide golden Dorado fishing, which in recent years has become very popular amongst anglers from all over the world. We hope you consider the amazing “cast & blast” options provided in your next dove or duck hunting trip. Are we able to add big game hunting to our trip? Argentina and New Zealand are famous for having some of the best Red Stag in the world. If you are looking for trophies, look no further, some of the best scoring Red Stag can be found close to our lodges. Our intimate work with our associated partners allows us to provide some of the best hunts available in Argentina! 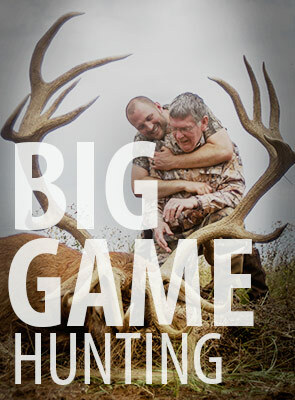 There are a variety of different areas in the country for big game. It will be important to coordinate with us, so we can put together the hunting trip you desire. There are multiple species available to be hunted including water buffalo, blackbuck antelope, axis deer, fallow deer, and wild boar. Are we able to add non-hunting activities to our trip? We have been working towards expanding our varieties of non-hunting activities available. You should think about a possible stop in Buenos Aires, visiting the Iguazu falls, the glaciers, or the winery areas.